Littleton is a cozy Colorado town that sits about 10 miles south of downtown Denver, and about 56 miles north of Colorado Springs. It is comprised of three different counties: Arapahoe, Douglas, and Jefferson Counties. It is also considered a part of the Denver Metro Area. Littleton's history dates all the back to 1859, in the Pike's Peak Gold Rush era. This not only brought gold seekers, but merchants and farmers to this now well known suburban area. Littleton sits on the South Platte River in the Colorado Piedmont region, and is a few miles east of the Southern Rocky Mountains. 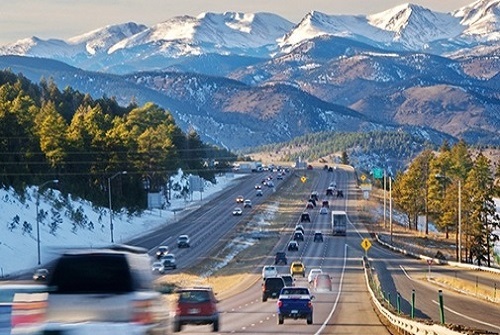 The foothills of Littleton are breath-taking and attract Colorado natives as well as visitors who fall in love with the community and become Colorado residents. The downtown area is a perfect place to wander, shop, enjoy a diverse dining experience, and get to know your neighboring community of citizens. There are several lakes, rivers, reservoirs, and trails to hike, bike, run, walk your dogs, and, ultimately, bask in the beautiful landscapes of this historical suburban town! Littleton offers a variety of different properties and residential communities...you can live off the beaten path in a ranch or farm-style home if you are one for peaceful views, privacy, and harmonic foothills. If you are lively and want to be in the mix of it all, there are a multitude of different housing types, including: luxury apartments, Victorian-style properties, and suburban planned communities spread all over the Metropolitan aspect of Littleton. This town has a little bit of everything and it speaks to just about everyone who passes through! The Metropolitan areas in the Greater Denver area (including Littleton) have implemented a well-crafted way of getting around from town-to-town...The Light Rail!!! This tram-like sort of transportation goes through the heart of Littleton, ensuring that people can commute to work, or play, efficiently, and in a timely fashion. There are a variety of different routes which will take you in every which direction you choose to go. No car...?! No problem! Colorado's public transportation system is designed to facilitate those without their own personal source of transportation; moreover, the people who do have their own personal source of transportation choose to take the Light Rail because of its reliability and safety, especially during the winter months where there could be inclement weather and hazardous road ways! Littleton prides itself in having an eclectic artistic culture. The Depot Art Gallery and Littleton Fine Arts Guild, The Littleton Symphony Orchestra, and Littleton Chorale are just a few highlights of the Arts and Music scene. Other events such as The Western Welcome Week, which came to fruition in the late 1920s, is still a feature of the town that includes over 40 events benefiting several local civic and charitable organizations. 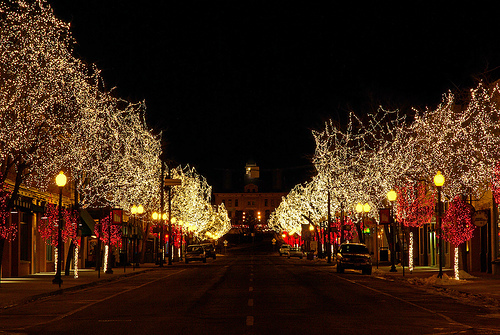 The infamous Candlelight Walk is a holiday inspired tradition of festivities that culminate the illumination of trees on Main Street. Other points of interest include: Hudson Gardens, The Littleton Museum, The Gravesite of Alferd Packer, and The Town Hall Arts Center which provides a theater to the surrounding metro area! Education is a top priority in Littleton, Colorado! There are about 15 Elementary schools, 4 Middle schools, 3 High schools, 2 Charter schools, and 2 Alternative programs in the Littleton Public School System. There are currently 88 Elementary schools, 3 K-8 schools, 17 Middle schools, 17 High schools, 17 Charter schools, and about 13 option/special schools and programs in the Jeffco Public Schools district. The Arapahoe Community College is located off of Santa Fe Drive, in the heart of Littleton (just a couple miles away from the historical downtown portion on the town). The Denver Seminary school is an accredited, graduate-level institution, in Littleton, that welcomes Theologians from all over!